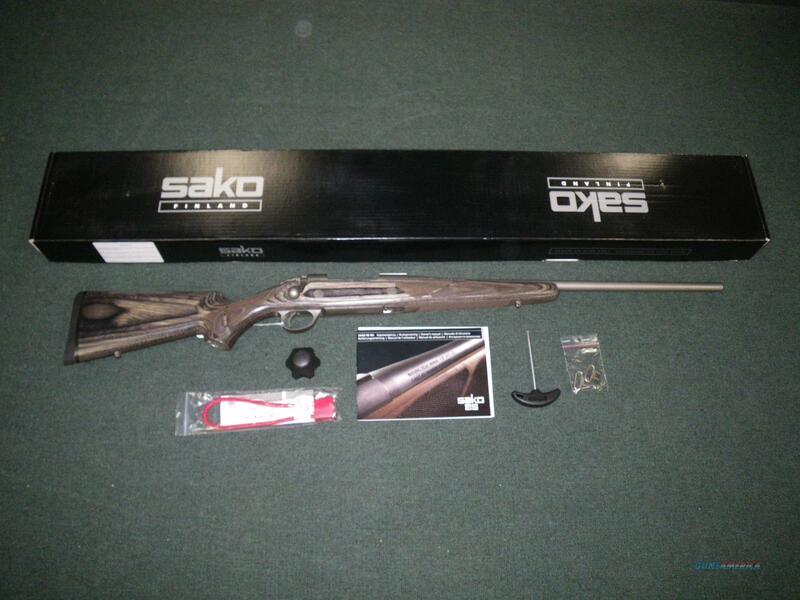 Description: You are bidding on a new Sako 85 Greywolf in 30-06 Springfield with a 22" barrel. The Sako 85 Grey Wolf features the same all-stainless barreled action as its cousin, the Sako 85 Stainless Synthetic, combined with an attractive yet ultra-tough checkered grey laminated stock. The stock features classic American-style lines with its straight comb and sleek profile, plus a shadow-line cheekpiece on the left side. The stainless barreled action and warp-free stock makes the Sako 85 Grey Wolf perfect for hunting in extreme conditions while retaining the warm look and feel of a traditional wood stock. Displayed images are stock photos. Any questions please feel free to ask (our phone number is in the additional information tab above).